is the primary ingredient in Halloween candy and the sweet taste of sugar tastes oh so good, no matter your age. 77% of Americans bought an average of $27 worth of Halloween candy in 2015. Boo! The spooky truth about sugar. The average person consumes approximately 22 teaspoons of sugar per day! Shown right. (Source: National Institute of Health). This amount grossly exceeds the World’s Health Organization recommendation to “limit added sugar(s) to a maximum of 10% of total daily caloric intake”. The spooky truth about excessive added sugar is an epidemic among kids and is also the #1 reason that kids develop tooth decay. Excessive sugar intake increases the prevalence of type 2 diabetes and obesity in both children and adults. 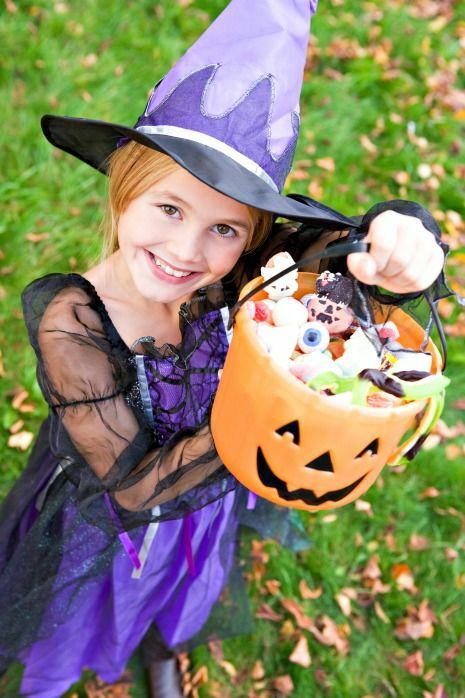 A bit of pre-planning can help make your kids night of Trick or Treating a fun experience. 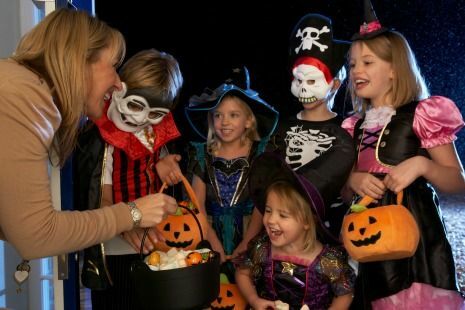 Select a few neighborhoods for your child to trick or treat. Limiting the number of neighborhoods your child trick or treats reduces excess amount of Halloween candy they can collect. Following trick or treating, sit with your kids and help them to sort and select a handful of candies to keep and encourage them to donate the excess to a local Halloween candy buy back event. Gently remind your child that Halloween candy is a “treat” and can be enjoyed in moderation as part of a balanced, healthy diet. Eating balanced, healthy meals will help to keep your child feeling full between meals and help to minimize the urge to enjoying a Halloween sweet treat. Instead, allow your child to pick a couple candies to enjoy once they finished eating their meal. This not only helps to minimize the pH in the mouth, but also helps to minimize the amount your child will want to eat on a full belly. Staying hydrated throughout the day will reduce brain “sweet treat” triggers that persuade you to think you want a sweet treat. Additionally, drinking water with containing dental fluoride can help prevent tooth decay. to erosion, aka demineralization. The longer period that the saliva in the mouth is below 5.5, the increased likelihood that a dental cavity will develop. No matter if it’s Halloween or not, it’s important to maintain an effective daily oral care routine that includes brushing daily for two minutes, two times each day. Battery powered or electric toothbrushes are effective at helping your child effectively remove harmful dental plaque from their teeth and prevent developing gingivitis, inflammation of the gums. Dental floss or single use dental picks help kids remove plaque and food particles from between teeth. Dentistry for the Entire Family is accepting new dental patients. Call (763) 586-9988 to schedule or request an appointment by email. Even if you limit the number of neighborhoods your child trick or treats, it’s still highly likely your kids will collect more than you’ll want them to ever eat. There are several charitable organizations that accept unopened, excess Halloween candy. Dentistry for the Entire Family is especially mindful of keeping your child’s teeth healthy and strong at this time of year. 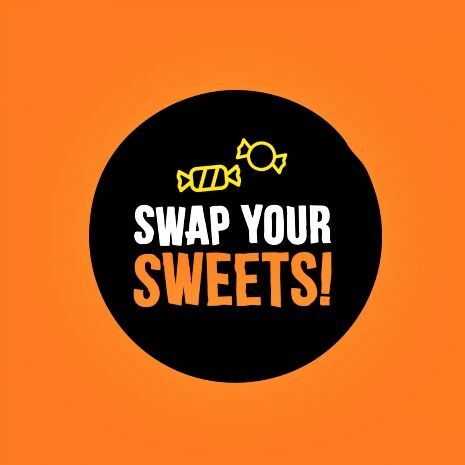 That’s why we’re putting together an awesome event to help your family make the most of all your leftover Halloween candy— without making your kid’s teeth pay the price. Kids unopened Halloween candy will be weighed. Kids will be paid $1 per pound of donated candy up to $3 max payout and will receive a swag bag of oral health goodies. Have more than 3 pounds of candy? We are more than happy to donate ALL your excess unopened candy. Kid’s have the opportunity to write a message to our military soldiers. Cards will be included in each box of candy a soldier receives. Kid’s can also elect to have their picture taken at our photo booth. Parents who share and tag (Dentistry for the Entire Family) their kids pictures on Facebook will be entered to win an Oral B Electric toothbrush. Winner will be announced on our Facebook page on Friday, November 4, 2016. This event is open to the public. Tell your friends, family, and neighbors.